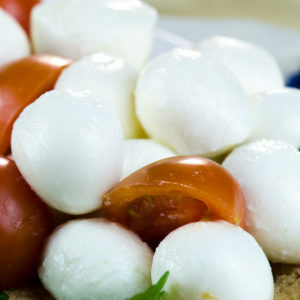 The Buffalo Mozzarella is a spun paste cheese, made from buffalo milk. Tender, elastic and puffy with particular eye formations, pearly white color. It has an delicious taste and nice consistency on the palate. With a prevailing acid and aromatic taste. Very rich in Calcium, so good for the health of your bones. Ingredients: Buffalo MILK, salt, rennet, lactic cultures. The Buffalo Treccia is a particular cheese with a characteristic braid shape, made from buffalo’s milk, with a manual process. It has a particular delicious taste, a real pleasure to enjoy eating. It must be kept in the fridge, in its own maintenance liquid. 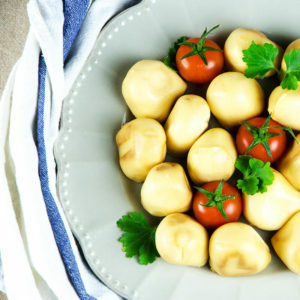 Ideal as a starter or a side dish for rich meals. It can be smoked, but only with a natural and traditional process. The Buffalo Mozzarella Smoked is a spun paste cheese, made from buffalo milk. Tender, elastic and puffy with particular eye formations, darker crust and white heart. It has a rustic, wild taste. To be enjoyed on its own or as a special extra ingredient in your salads or your hot dishes. 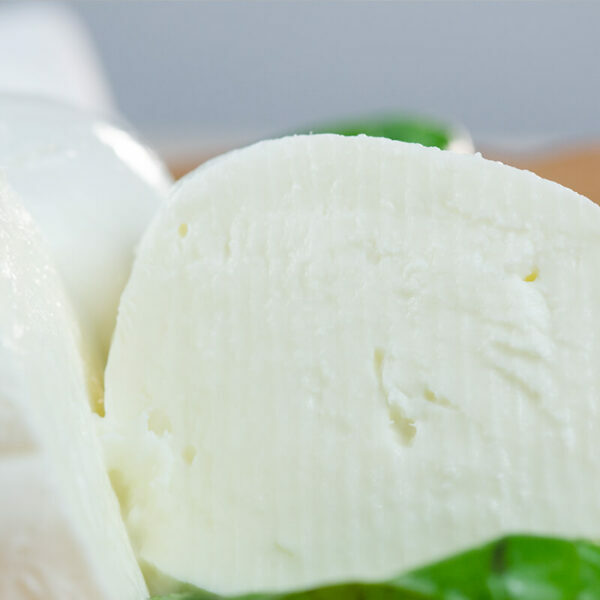 The burrata is an elaborate cheese, made from buffalo's milk, and with a traditional manual process. 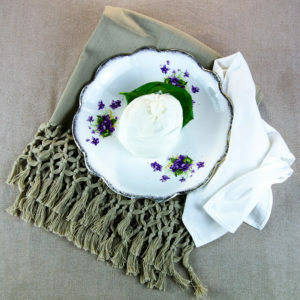 A part of mozzarella is reduced into small irregular and frayed pieces that are combined with liquid cream and will form the soft and inimitable filling of the burrata. Ideal for tasty main course dishes served with fresh vegetables and herbs. Soft and creamy, it should be consumed at room temperature. Free of preservatives and GMOs. Ingredients: Buffalo MILK, salt, rennet, lactic cultures, cream. 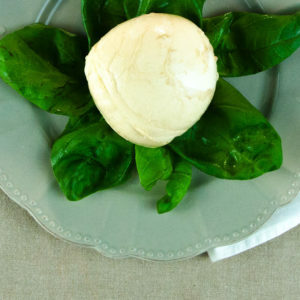 The Buffalo Mozzarella Bocconcino Smoked is a spun paste cheese, made from buffalo milk. To be enjoyed as an appetizer or as a special extra ingredient in your salads or your hot dishes. It should not be consumed too cold, leave a few minutes out of the fridge. Small size but great taste. 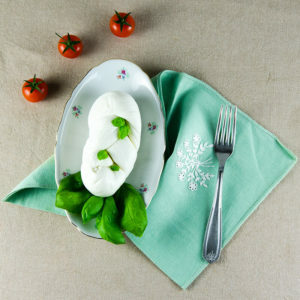 The Buffalo Mozzarella Bocconcino is a spun paste cheese, made from buffalo milk.